Bucks County has much to offer, a long and interesting history, great natural beauty, and a remarkable wealth of arts and culture. 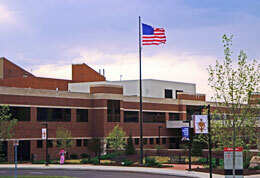 Enriched by talented, inspired individuals and organizations the area offers many resources to educate and delight. Dramatically incorporated into the stone walls of the old Doylestown prison this welcoming center for fine arts and culture delights everyone with the high quality and range of its collection. Popular exhibits highlight the area’s masters of art, words and chisel. Galleries change with new works and shows in an ongoing tour de force. 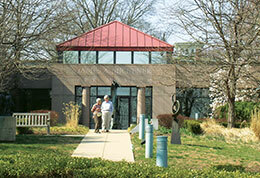 You will find something to intrigue and delight any interest here in Bucks County. Pivotal throughout history, home to generals, bandits and heroines on bicycles there is much to see and experience. 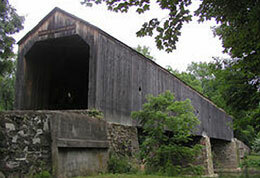 A wealth of parks, covered bridges, antique shops and quaint villages invite exploration. Festivals and fairs, markets and parades there is always something on the busy calendar to enjoy. 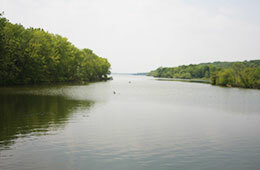 Part of the Bucks County Park System, Peace Valley Park surrounds 365-acre Lake Galena. Take a leisurely walk along the water or through the woods and meadow, take out a canoe or go fishing. Visit the bird blinds near the solar building at the Nature Center where educational programs are held. 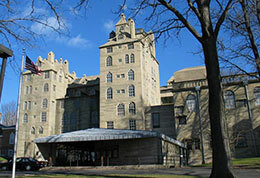 The Mercer Museum is a history museum of everyday life in America during the 18th and 19th centuries. The collection of some 40,000 objects documents the lives and tasks of early Americans through the tools that met their needs and wants prior to the Industrial Revolution. 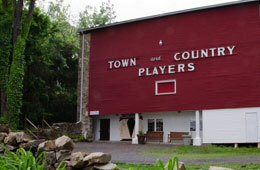 This Not for Profit community theater has been bringing entertainment to Central Bucks County for 60 years. Professionally-staged productions are presented every year in a state-of-the-art playhouse, transformed from an 18th-century cow barn. Open since 1938, the historic County Theater is a nonprofit, community-based movie theater that specializes in independent, art, and foreign films. One of the region’s premier cinema destinations, they also offer a variety of special events ranging from Saturday Kid’s Matinees to classic Hollywood films to participation in film festivals. The County regularly presents local filmmakers and host discussion groups and lectures. Fonthill was the home of Henry Chapman Mercer (1856-1930) who also built Mercer Museum. 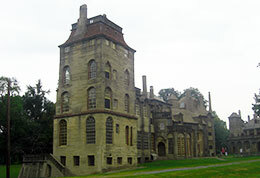 Fonthill was his home and a showplace for his collection of tiles and prints. Open for tours and to scholars, Fonthill also hosts annual events such as an Old Fashioned 4th of July Celebration, Holiday Open House and Tours, and Tile Festival in May. The Riverside Symphonia is a professional and a community orchestra. Created and supported by the Delaware River Valley community and its river towns, the Symphonia consistently presents concerts of the highest artistic level. Each year, the Riverside Symphonia embarks on a delightful program of concerts that feature distinguished guest performers and conductors known throughout the world.